Size of this preview: 800 × 450 pixels. Other resolution: 1,366 × 768 pixels. Deutsch: Ein Bildschirmfoto von Ubuntu 10.04 in der Standardkonfiguration. 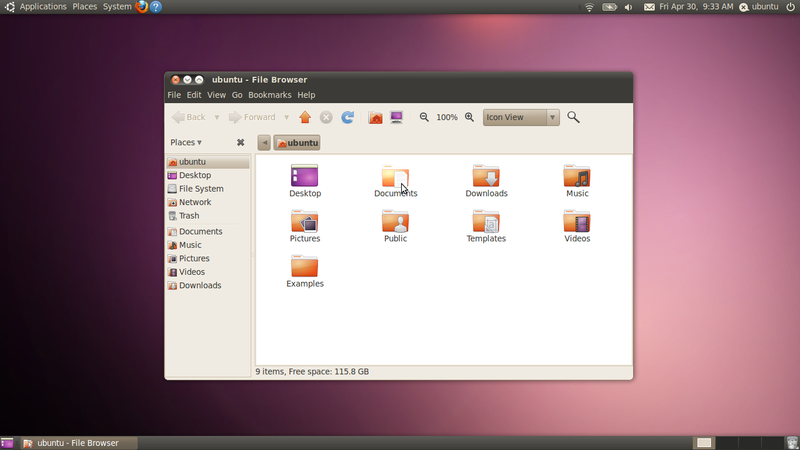 English: A screenshot of Ubuntu 10.04 LTS in its default configuration.